It’s time for a winter wardrobe refresh! Here’s what I got from Wantable! 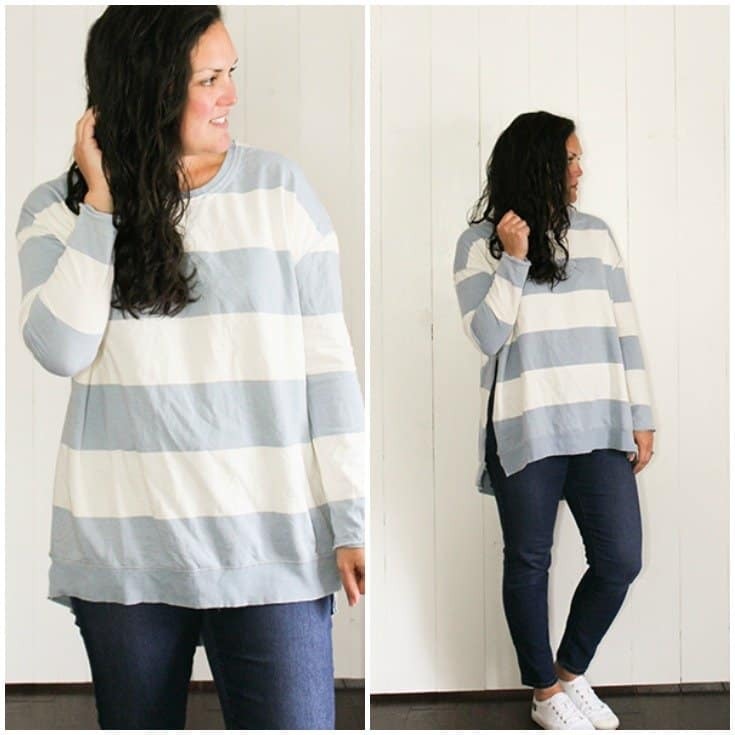 One of my favorite ways to use style boxes is to refresh my wardrobe seasonally. So I let my Wantable stylist know that I was looking for some cozy winter styles. 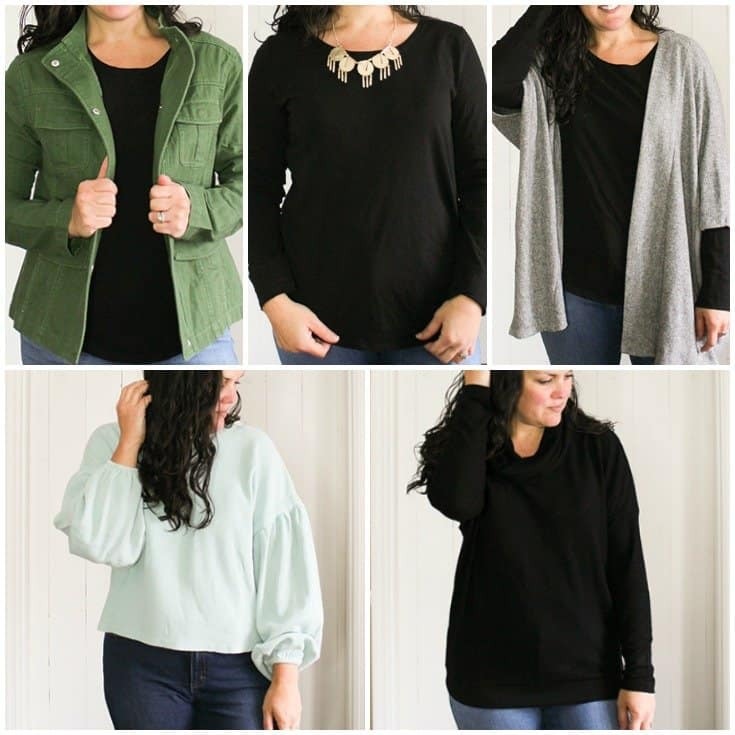 Although I’ve used Stitch Fix for a few years now, I’m still new to Wantable. One thing I really like about Stitch Fix is that I truly feel like each Fix is styled specifically for ME. The past several boxes I’ve received have felt completely personalized. It’s not the same with Wantable. I’m not sure if I’m getting the same stylist or not, so that could be part of it. My Stitch Fix stylist has been with me for a while, so she’s gotten to know me and my preferences. If I’m getting a new stylist each time with Wantable, it might be hard for that person to *really* get to know me just by my style profile. On a positive note, however, I think it can be fun to have someone new because they pick things for you you’d never try otherwise. And even if you don’t end up loving it, you still got to try something new and know for sure if it’s a style for you. 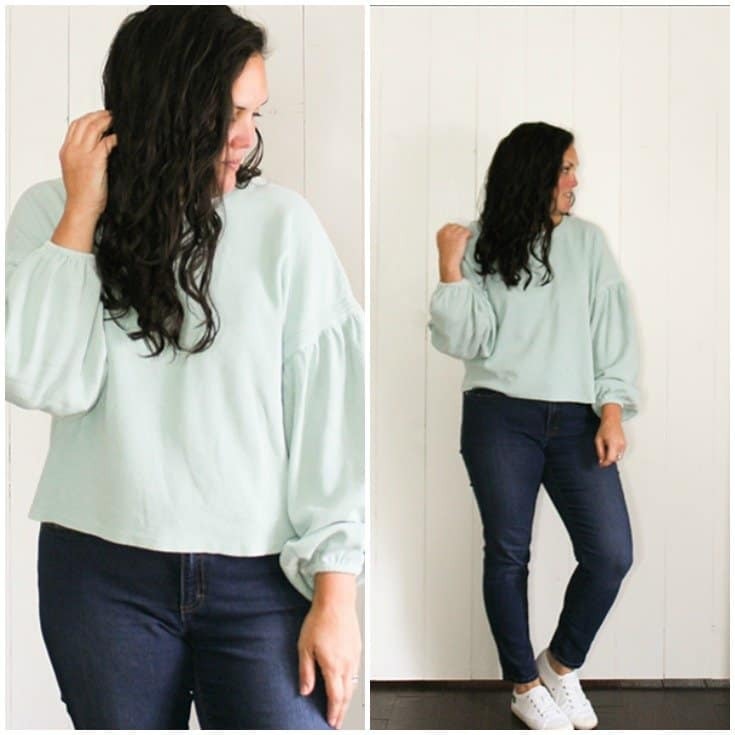 This balloon sleeve top is a good example of something I’d never pick for myself. It’s cute, and very on-trend. But looking at a stock photo, I’d be afraid it’s a bit young for me. Now that I’ve tried it on, I know how it fits and how I feel in this style. It’s still not a style for me, but I do think it’s really cute! This top was love at first sight! I just *knew* it would be my new go-to casual tunic. But then I tried it on. That’s the great thing about style boxes – you can ‘try before you buy’! Everything was great about this tunic, except those side slits. They go all the way up to my bra. Maybe some can pull that off comfortably, but even with a cami underneath I’d be super self conscious. I was happy to see this jacket in my Style Edit because I’d requested something similar. 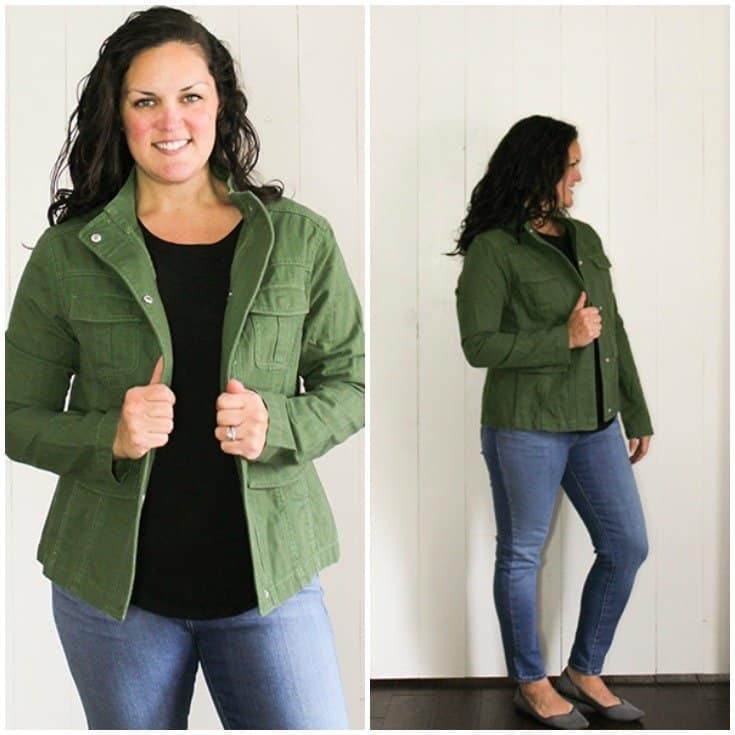 I’ve had my eye out for a cute jacket to wear as a fall or spring layer. This style is perfect for a fun dressed down contrast to a pretty blouse or a casual layer with an athleisure look. I LOVE this classic style. 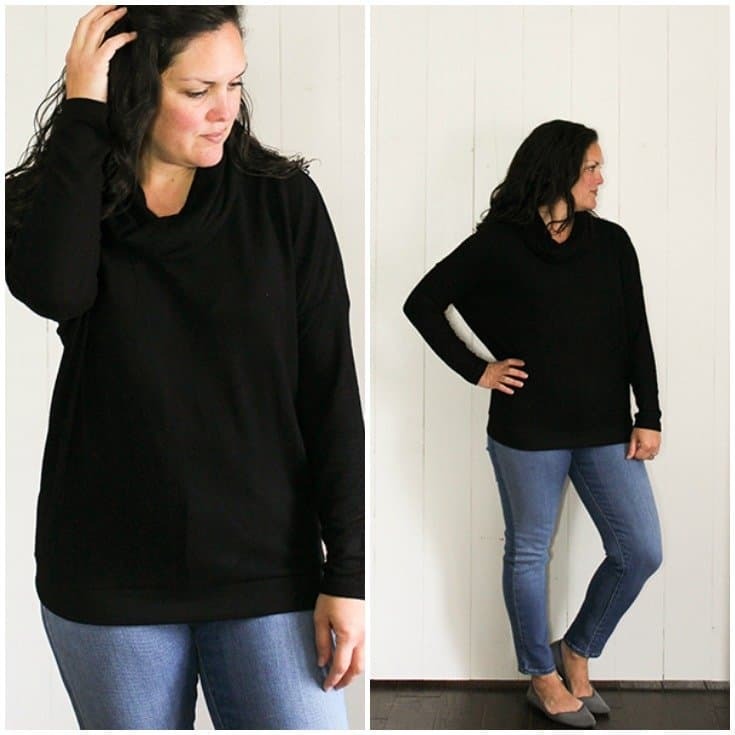 A black sweater is a wardrobe workhorse that will get TONS of use. 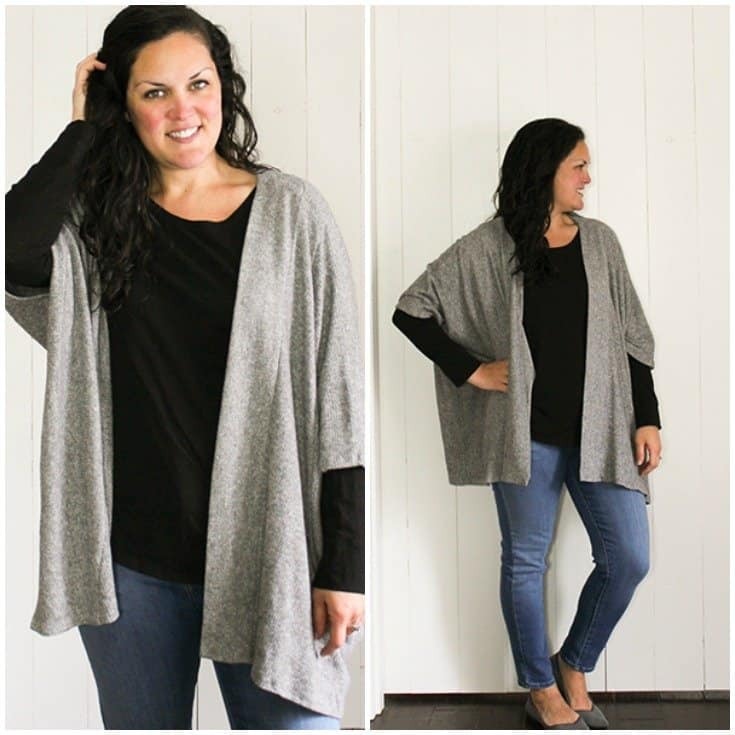 And the dolman style is very forgiving, which my mom-belly appreciates! I like that the cowl neck on this one isn’t real big. They often seem to be either really bulky or really loose to where they fall open when I bend over. This one is pretty perfect. Ok, this flowy cardigan is PERFECT for me. It is totally my style. I love a good classic staple with a personal style twist like this! It’s really more like a kimono than a basic cardigan, and I have lots of ideas for styling a kimono! If you’re a little hesitant to try printed pants, tone on tone prints are a GREAT way to start. It’s subtle, but just enough to have some interest and build some versatility into your wardrobe. The print is a bit hard to see in this photo, but it’s a small scale black on off-black plaid. 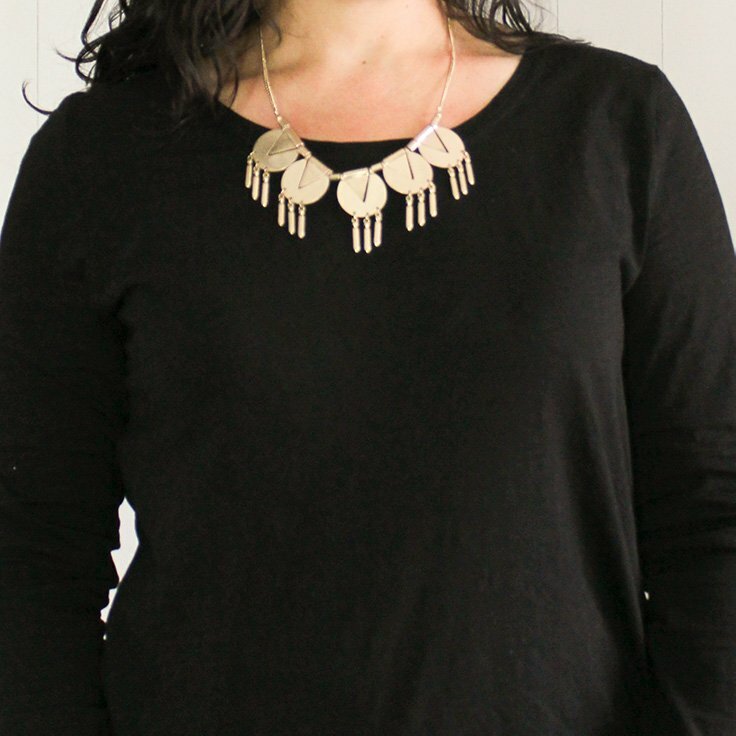 I’m not big into sparkly statement jewelry, but the matte gold of this necklace is perfect. A simple statement necklace like this is nice for dressing up a solid sweater. It’s also fun to add to a super casual outfit like jeans and a tee. Have you refreshed your winter wardrobe? What things did you add?